Nuremberg is a town in southern Germany, which is known for homing each year the oldest Christmas market in Europe. 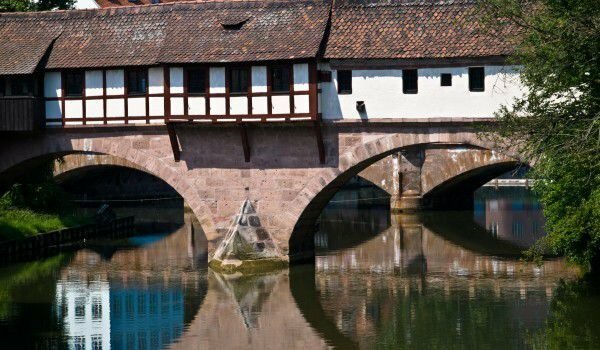 It is situated on the River Pegnitz and the Rhine-Main-Danube in South Germany, Bavaria. Nuremberg, is also known for its interesting large museum of toys and its population of more than 500, 000 people. For nearly six centuries - from 1050 to 1571 Nuremberg was an important center of the Roman Empire. In 1219, Nuremberg was declared a free city by the then Emperor Frederick II. Together with the town of Augsburg, Nuremberg became a major trading center on the way from northern Europe to Italy. In 1525 the city adopted the Reformation, and in 1532 there was a signed peace in Nuremberg, which allow Lutherans to receive large discounts. During the Thirty Years of War, Gustavus II was surrounded in Nuremberg by Wallenstein. After the war, the city declined and recovered its importance only in the 19th century, when growing as an important industrial center in Germany. Back in 1806 Nuremberg was connected to Bavaria, and in 1835 the first railway line connects the city in Germany. Because of its great importance in the Roman Empire, Nuremberg was chosen by Germany's Workers Party, the place of Nazi major events and activities. After coming to power, Adolf Hitler's Nuremberg became a sanctuary for the National and there they built many government buildings. During World War II Nuremberg produces half of Germanys engines for the tanks, planes and submarines, because of its importantce as a military town it was completely destroyed by British and American bombing raids. After the war the city was built entirely anew with many old buildings being fully restored to their original appearance. As is known in Nuremberg, Nuremberg is held at the top place where Nazis were accused of war crimes against humanity. Today beautiful architectural masterpieces in Nuremberg attract millions of tourists each year. 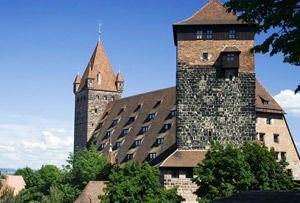 Among the main attractions of the city are three castles standing over Nuremberg on the west and east. In the center of town is the largest hospital in medieval Europe and the Gothic church, St Lorenz-Kirche which was built between 1270 and 1350. Nuremberg is famous for its German National Museum of Railways. The fountains, Monastery of St. Spirit, Frauenkirche, Dürer's House and the geographic castle are one of the main sites to see if you visit Nuremberg. The old fountain was built in the 14th century and is an impressive pyramid of 40 figured heroes and the Middle Ages, philosophers, evangelicals and other celebrities. Nuremberg homes the oldest and largest Christmas bazaar in Europe, which is held around the historic old square, Frauenkirche. The first written document about the famous bazaar is from 1628.